All the travel tools you need – for as little as $16.99 per day! Voice-activated navigation, with real-time traffic details. Plus off-line maps, so you never get lost. Need to get online? Turn TravelTab into a secure Wi-Fi Hotspot with Unlimited Data for just $5.95 per day for 2 connections. The world’s leading weather, news and convenience apps for travelers on the go – like a language translator & currency converter. TravelTab includes discounted local tours and attraction tickets. Plus save money with free shopping & restaurant coupons. 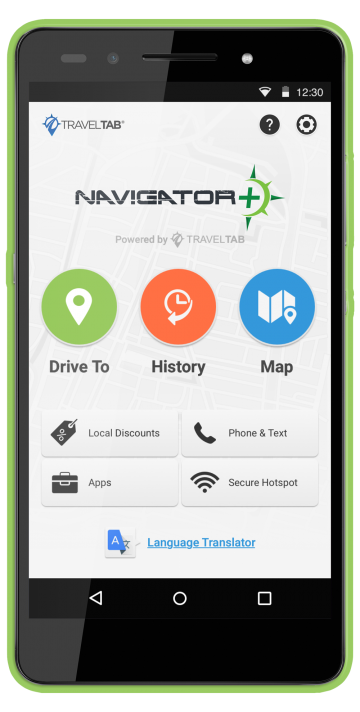 Human, friendly support to help 24/7 for any technical questions about your TravelTab.